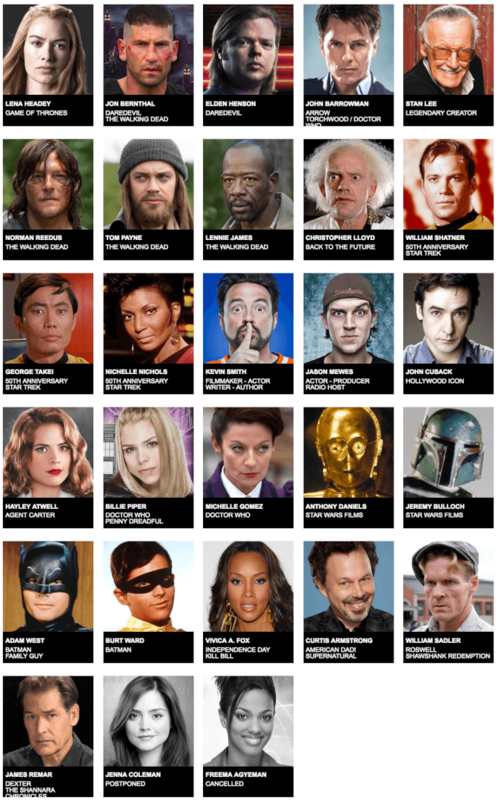 Holy moly, MegaCon's celebrity guest lineup has never been this amazing! Holy moly, MegaCon’s celebrity guest lineup has never been this amazing! The convention gods have smiled upon Orlando! So I’ve been keeping tabs on the ever-growing celebrity guest list for Orlando Florida’s MegaCon, a four day mishmash event for the fanboy/fangirl in all of us. I have to say, it’s absolutely insane this year. From Jon Bernthal, Stan Lee, Norman Reedus, Kevin Smith, and even Adam West (the original Batman), guests are absolutely in for a treat. They even just announced Lena Headey (Game of Thrones) today! Don’t believe me? Look at this lineup! I don’t know about you guys, but I’ll be there with bells on. The fest runs from May 26-29, 2016. For full scheduling and ticketing information, check out their official website. In the meantime, what do you think of this line-up? Let me know your thoughts in the comments below! “The Walking Dead” stars Norman Reedus, Lennie James, & Tom Payne announced for MegaCon! Agent Carter herself, Hayley Atwell, is coming to MegaCon in Orlando! Newer Newer post: Mickey’s Not-So-Scary Halloween Party is now 29 spooky nights at Disney’s Magic Kingdom!